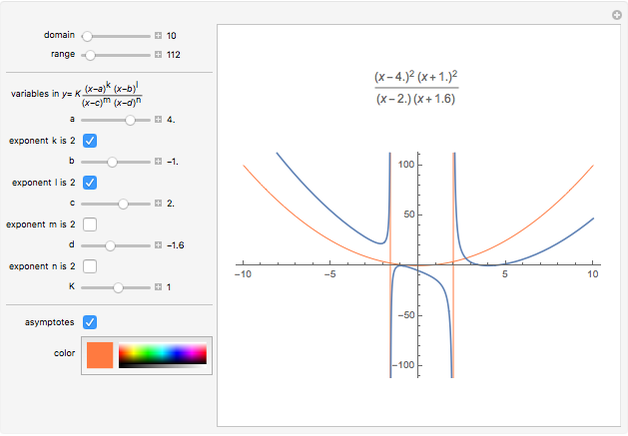 Graphing rational functions is an important topic in precalculus and calculus classes. 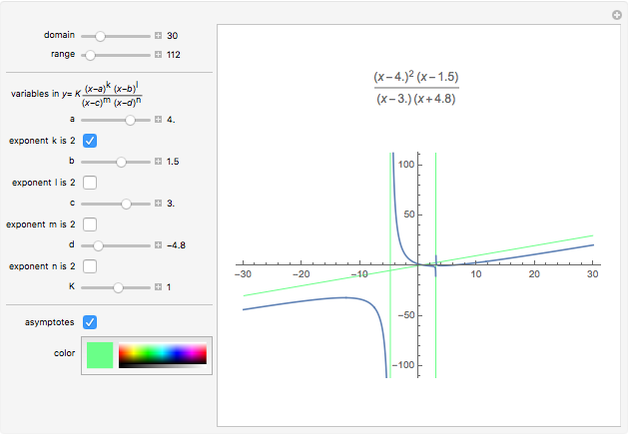 This Demonstration illustrates the important features of the graphs of these functions, showing both vertical and horizontal asymptotes, as well as the behavior at infinity. It is limited to two roots and two vertical asymptotes, but each is allowed to be repeated. 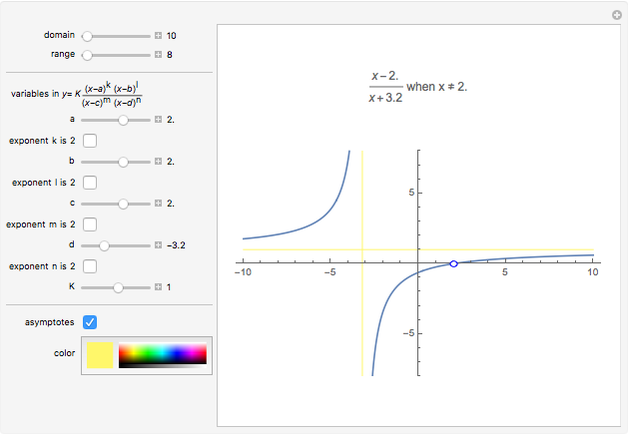 This Demonstration can be used to illustrate the difference between the behavior of a graph near single roots and double roots. Donald Krug "Rational Functions of Small Degree"